Below you can login to the Controllux website. Don't you have an account yet, you can register for free here. Through this form you can create an account that gives you direct access to our online store. If you are already an customer of Controllux and you have a customer number? Please fill out this number, after verifying your account will be linked to your customer number. Are you a customer or a company? 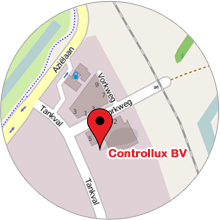 Controllux only supplies in the Netherlands, Belgium or Luxembourg. You can view our shop, but you cannot buy anything.